Seaside Rentals Premiere Vacation Homes, a luxury rental company out of the Surfside Beach area of SC, worked with ICND to launch their newest booking engine website. Seaside has been a valued client of ours for 5+ years. In fact, this is the second website redesign and booking engine integration that we’ve completed for this client! We were excited to get the opportunity to completely update their website, modernizing the site with a new design and unique functionality. Seaside utilizes a Homeaway Property Management System, and we completed a full booking engine integration for the newly launched website. This allows the client complete ease of use between their website and property management system, making sure that potential clients receive the most up to date information on rates and availability. This new website also sports a brand new responsive design, which we feel is essential for all new sites we launch. This allows Seaside Premiere Vacation Homes to capture mobile and tablet users that are on the go, providing them with a user-friendly website experience. Seaside has also been an online marketing client for the entire time they’ve been on board with our team. We assist them in SEO, PPC and email marketing. The site is fully optimized and was redesigned with SEO efforts and conversions in mind. 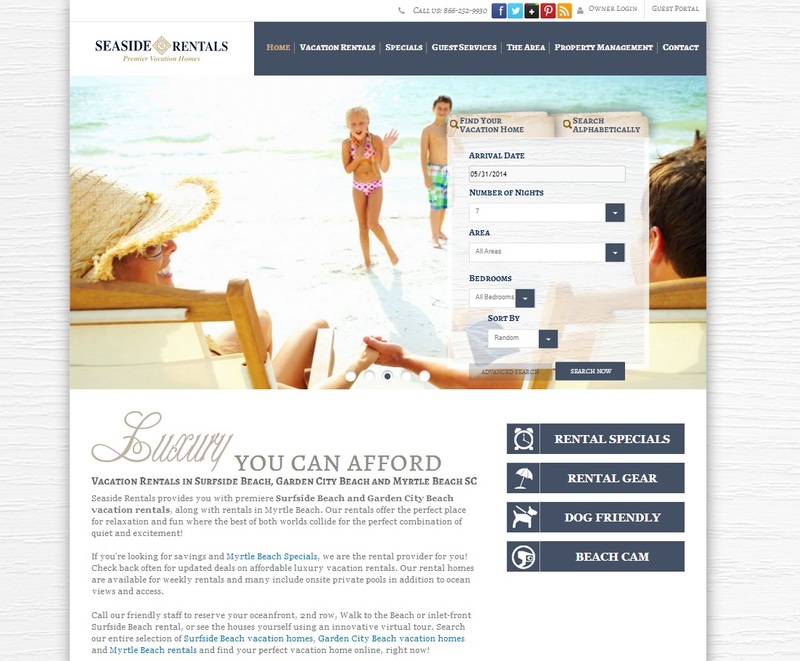 We are excited to see Seaside Rentals grow in this industry and couldn’t be more thrilled to assist them with their website and online marketing moving forward!